Dwight Howard Seaman born July 29, 1953 in Bellaire, MI, went to be with his Lord on January 14, 2019 at the Munson Medical Center in Traverse City. Proceeding him in death were his parents, Victor Wayne Seaman and Joyce Elaine Pulaski Seaman, and brother-in-law Bill Weiser. Surviving are his wife, Sherry Kay Marshall; a stepdaughter, Michelle Rodwell; two sons, Joe Montgomery and David Cupps; five grandchildren; a brother, Marvin Seaman (Tanya); five sisters, Gloria Jean, Kathy Brummitt (George), Gladys DeForest (Ken), Cheryl Folker, and Stephanie Fodor (Joe); along with many nieces & nephews, cousins, and friends whom he loved dearly. Dwight walked faithfully with his Savior, Jesus, and was active in various ministries. He has served as associate pastor at Grace Community Church in Central Lake, and was active in ministry at the Antrim County Jail. He served faithfully at Fresh Start Church in Bellaire. He loved to sing the old hymns of the faith. He enlisted in the Army following his graduation from Mancelona High School in 1971. Dwight had a heart for his community, and was very active on the Clearwater Township Board. Until he retired, he worked as groundskeeper at the Wesleyan Camp in Manton. He loved gardening, walking in the woods, and anything to do with nature. Services for Dwight are at the Fresh Start (Wesleyan) Church in Bellaire Thursday, January 17 at 11:00 a.m. Receiving friends at 10:00 a.m. Pastor Dennis Curell officiating. In lieu of flowers, donations can be made to Good Samaritan Family Services, PO Box 206, Ellsworth, MI 49729. Arrangements have been handled by the Bellaire Chapel of Mortensen Funeral Homes. 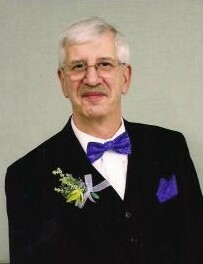 Please visit his online guestbook www.mortensenfuneralhomes.com.